This site offers access to real-time oceanographic and surface meteorological data from the TAO array of over 400 buoys in 70 moorings in the tropical Pacific Ocean. 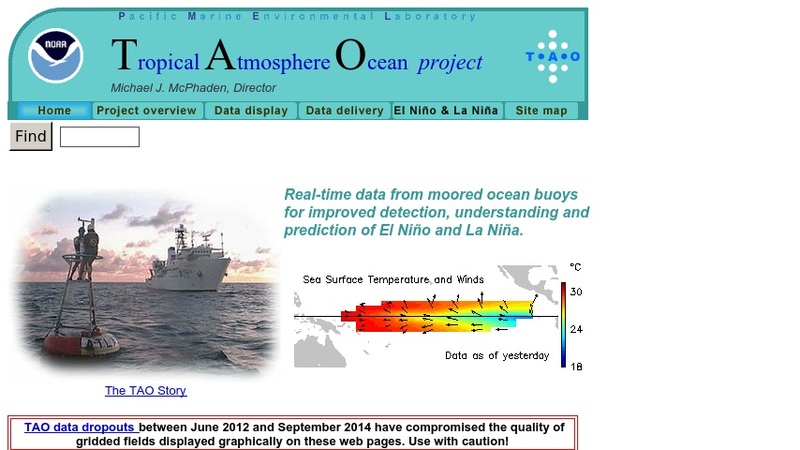 TAO datasets are typically used for monitoring and prediction of El Nino/La Nina events. At the data delivery page, users can select all or any combination of buoys, display type, data type(s), and time period. Other materials include links to information on field operations, technical specifications, a glossary, and links to collaborating organizations and related sites.